Sourced from small fish in deep, Chilean waters, this high-quality concentrated fish oil is thoroughly tested to ensure its purity and safety. 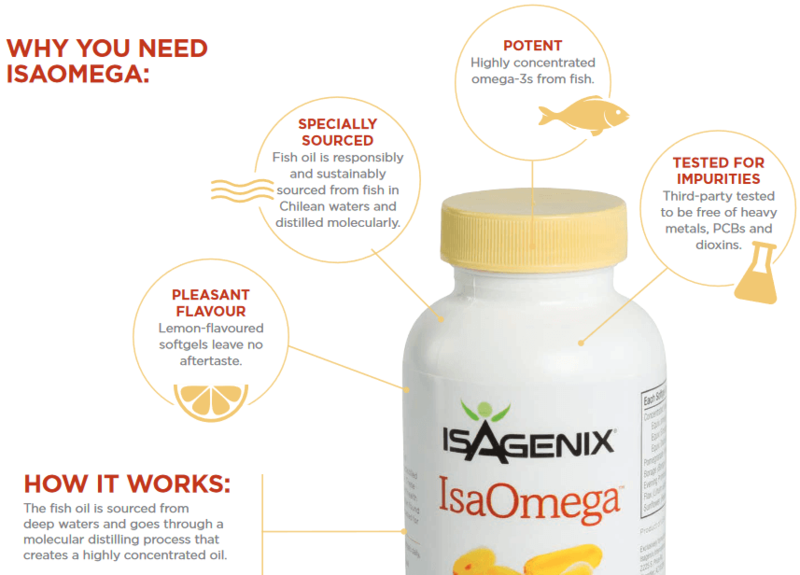 A fresh, lemon flavour means these softgels leave no fishy aftertaste. 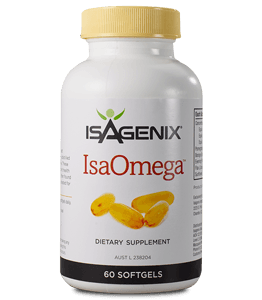 Isagenix IsaOmega is packed with Omega-3, which has a host of health benefits.